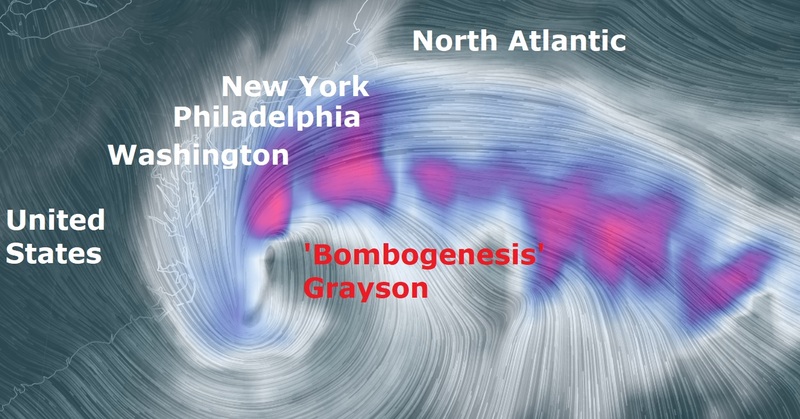 The massive storm named as a “bomb cyclone” for its sharp drop in atmospheric pressure, forced flight cancellations and school closings up and down the East Coast. Southeastern Canada by Friday morning. ending over the Mid-Atlantic Coast by Thursday evening. The heavy snow will continue over the Northeast overnight Thursday beginning to wane on Friday morning. A rare winter storm hit the US Southeast on Wednesday, bringing Florida's capital its first snow in three decades and snarling travel. The governors of Florida, Georgia, Virginia and North Carolina declared states of emergency, warning residents to expect icy roads and unseasonable freezing temperatures, according to the Dail Mail.